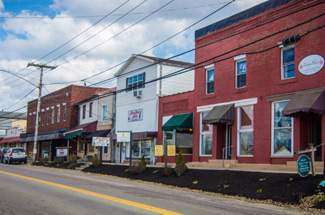 Main Street in Hurricane is a vibrant downtown with lots of local shops to frequent. Everything can be found from live music and family game nights to fresh, pour-over style coffee and sweet treats. Shopping leads to great finds on apparel, specialty brand items, and unbeatable custom products. Many events are held on Main Street throughout the year, and there’s plenty to see and do in downtown Hurricane. Shops, restaurants and some of the City’s oldest buildings can be found on Main Street. Hurricane can be traced back to 1873, when a railroad track was laid through the town and a small depot was constructed. It was during this period that Main Street developed. In the early 1990s the old depot was torn down and was replaced with a small gazebo which is still standing today.